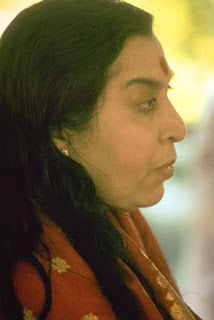 Your first and foremost responsibility is Sahaja Yoga because you should know what a work it is. It is such a great work to transform the whole world. That is My vision. At this old age, also I think the same way. Now if that is My vision, what should be your attitude? That we should go all out to spread Sahaja Yoga. That is the main thing. I call you for these pujas just to renovate, I should say, or to give you more energy and all that. But if you are just taking it as a great blessing and sitting at home, it is of no use. You must spread Sahaja Yoga.